After a four day layoff, the Jets are back in action against the 2010 Stanley Cup Champion Chicago Blackhawks at the Madhouse on Madison Thursday night. The Blackhawks have started their season splitting their first two games with the Dallas Stars, losing 2-1 on October 7th and then winning their home opener 5-2 the following day. Both teams are coming off a long layover between games as the 'Hawks last game was Saturday's win and the Jets last game was their 5-1 loss to the Montreal Canadiens in their home opener. For Jets captain Andrew Ladd and defenseman Dustin Byfuglien, it's a homecoming of sorts as they return to the United Center for the first time since they helped Chicago win the 2010 Stanley Cup. Due to salary cap issues, both were dealt soon after the 'Hawks won the Cup to the Jets franchise and are now two of the big cornerstones of the Jets. This will also be the first time Winnipegger Jonathan Toews will play against his hometown team in his career. Also born or raised in Winnipeg are 'Hawks forward Patrick Sharp and defenseman Duncan Keith, who will also be in the lineup for Chicago. 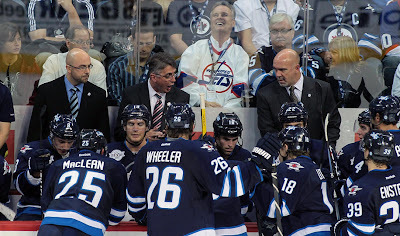 No lineup changes are expected for the Jets from their home opener on Sunday, but look for both teams to have some jump as they have both had long layoffs between games. 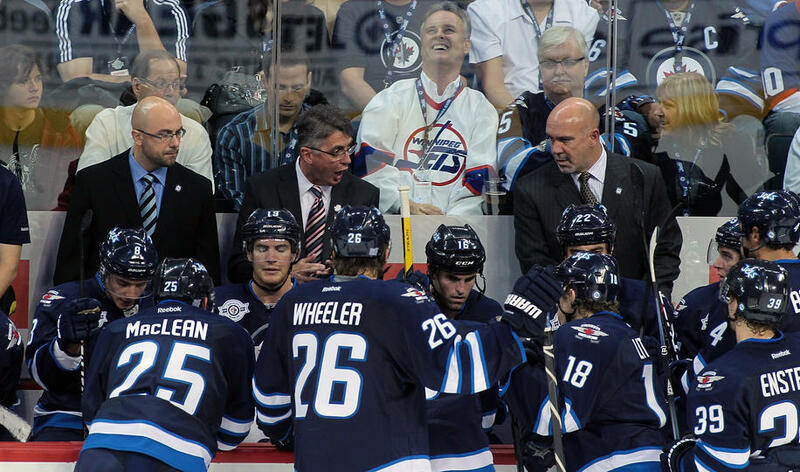 Game time is 7:30 PM CT and is available on TV in Canada on TSN and TSN-Jets and on CSN-Chicago in the US. The game is also available on radio on TSN 1290 (Winnipeg) in Canada and WGN 720 (Chicago) in the US.